Quarter Horse Head in Horseshoe and Bit frame! Quarter horse lovers wanted! 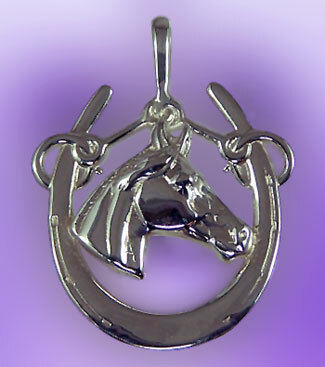 The Gorgeous Horse your number one source for Quarter Horse jewelry. Here we have a new Quarter horse head in a bit and horseshoe frame complete with bail! Offered here in sterling silver complete with exceptional detial that you won't find anywhere else. Dimensions: 1 1/4 inches wide x 1 1/4 inches tall.